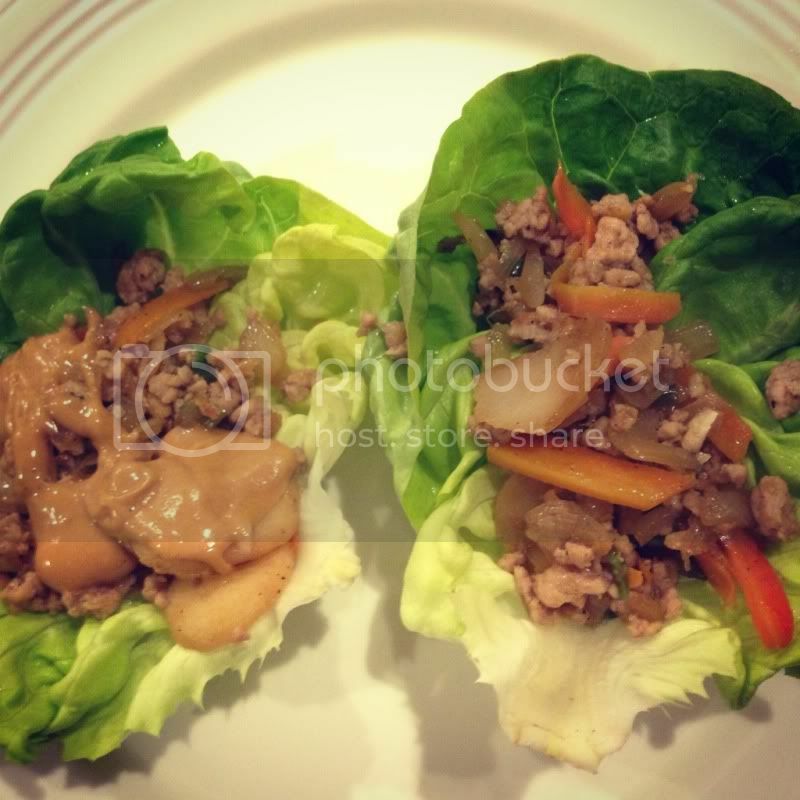 Steph's Snack Shack: Wraps Wraps Wraps! It didn't happen intentionally, but I realized I've been eating a lot of wraps lately. I thought it would be fun to put them all in one blog to show a variety of wrap ideas. Place apricot in a small saucepan over medium-low heat. Cook for 10 min or until melted - keep warm. Combine 1 tsp salt, 1 tsp oregano, garlic powder, and pepper in a small bowl. Rub seasoning mix evenly over pork. Place pork on a roasting rack coated with cooking spray and then place in a shallow roasting pan. Pull pork from oven and brush 1/4 of the preserves over the pork, and then bake an additional 10 min. Pull pork from oven again and then brush the remaining preserves, and then bake for 10 more minutes or until the internal temp is 155. In a medium bowl, combine the avocado, mayo, lime juice, chipotles, 1/4 tsp salt, cumin, 1/4 tsp oregano. - Enjoy! 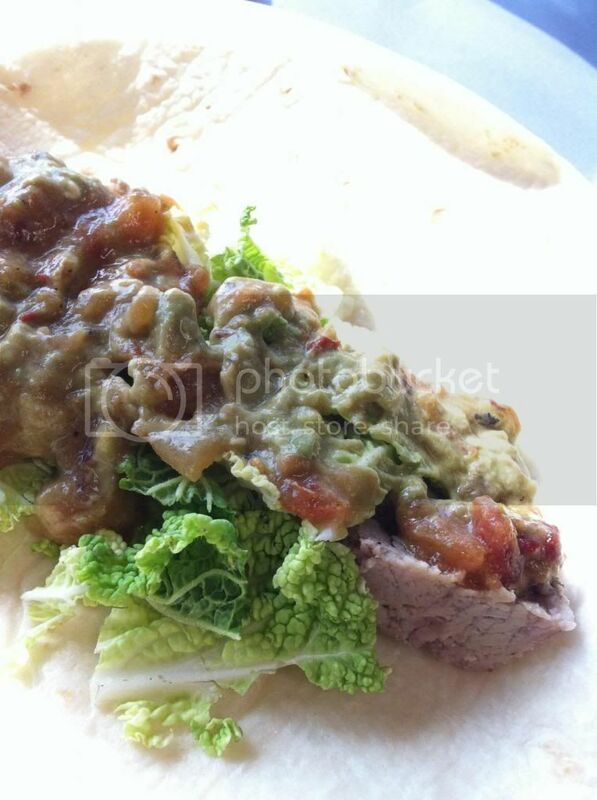 Spread 2 Tbs of avocado sauce over a tortilla, place about 1 1/2 cups of the pork down the center of the wrap, top with 1/2 cup of lettuce, and 1 Tbs salsa. In a bowl, combine mushrooms, lemon juice, and extra-virgin olive oil - season with salt and pepper. Let stand, stirring occasionally, until mushrooms are softened, about 30 minutes. Rub bread lightly with garlic clove. I skipped this step with using the tortilla. 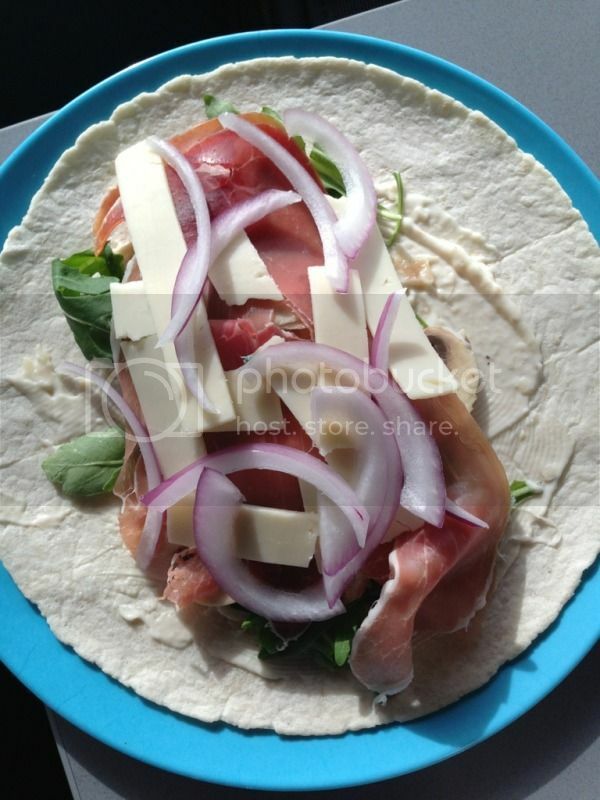 Dividing evenly, layer lavash with prosciutto and gruyere cheese, red onion, marinated mushrooms (liquid reserved), and baby arugula. Season with salt and pepper and drizzle each lavash with 1 Tbs reserved mushroom liquid. Roll up to form a wrap. Cut in half to serve. Wash and dry lettuce leaves and return them to refrigerator until ready to serve. In a medium skillet over high heat, brown the ground pork, stirring often. Cook the onion, garlic, 1 Tbs soy sauce, ginger, vinegar and 2 tsp chili paste. Stir in water chestnuts and carrots and cook for 2 minutes. Add back the ground pork and green onions and continue cooking until warm. Adjust seasoning by adding additional soy sauce or chili paste. Whisk together the peanut butter, 1/4 cup soy sauce, brown sugar, and lime juice. Slowly combine the hot water until the sauce reaches the consistency you want.